In honor of January being Cervical Health Awareness Month I wanted to share about the importance of making sure to have a routine HPV test, including why it’s so important and ways in which you can have it done regardless of your healthcare access or circumstances (and even in the convenience of your own home!). Did you know that HPV is the leading cause of cervical cancer? HPV, or Human Papillomavirus, is the most commonly transmitted sexually transmitted infection. Nearly 80 million Americans are currently infected with HPV and 14 million people are newly infected each year. Nearly 80 percent of sexually active women carry HPV at some point in their life. That’s 4 out of 5 women! The good news is that HPV is incredibly easy to be tested for and you can significantly decrease your risk of developing cervical cancer by being tested early and often. In fact, it’s one of the most preventable types of cancer, but being proactive with your sexual health is a must! Checking your risk of cervical cancer can be done with a pap smear or HPV test. For women over 30, it’s recommended to have a pap smear every 3 years or an HPV test every 5 years. 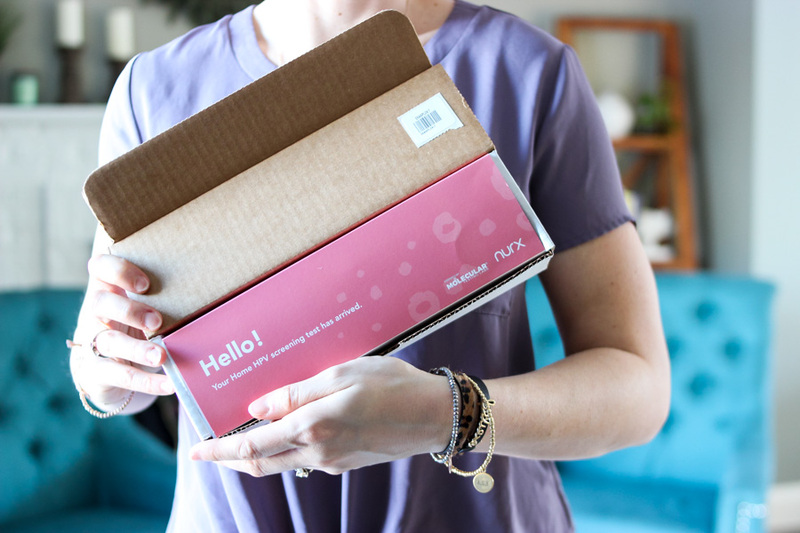 There’s even an at-home HPV test available now from Nurx to make it even more accessible and easier for every women! One thing that I’m always passionate about and especially more so now that I’ve struggled with it in the past, is access to preventative care. I know that when many hear about health and medical screenings that they immediately have reservations due to cost and time. I went many years without health insurance and have had the hardship of putting off preventative care and screenings because it just wasn’t in the budget at the time. Even now, our monthly health insurance premium costs more than our home mortgage. Health screenings can be expensive, but there are affordable options when it comes to HPV testing thanks to Nurx and their at-home HPV test. Nurx is healthcare company that provides women all over the US access to convenient, affordable and judgement-free healthcare. They have real doctors, real care and are a great option for those with and without healthcare when it comes to sexual and women’s health. I love that they are working to bridge the healthcare and preventative health gap that is often an issue in our country. One of their newest services is an at-home HPV test for women 25 and over and is a great option to use in between pap smears. 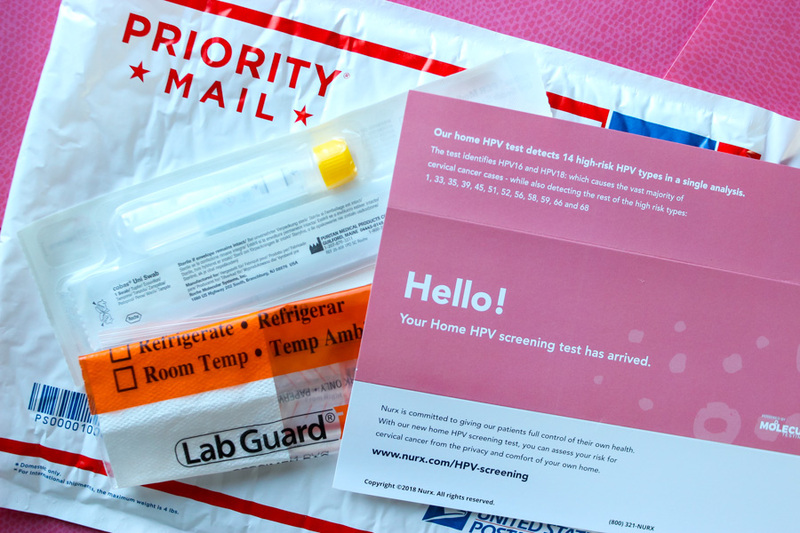 The Nurx HPV test can be done from the convenience of your home with a simple vaginal swab. Not only is it simple to use, but it’s also affordable ($15 with insurance, $69 without insurance). The test checks for 14 strains of HPV that have a higher risk of cervical cancer. It can be easily and privately ordered online via their website or through the Nurx app. 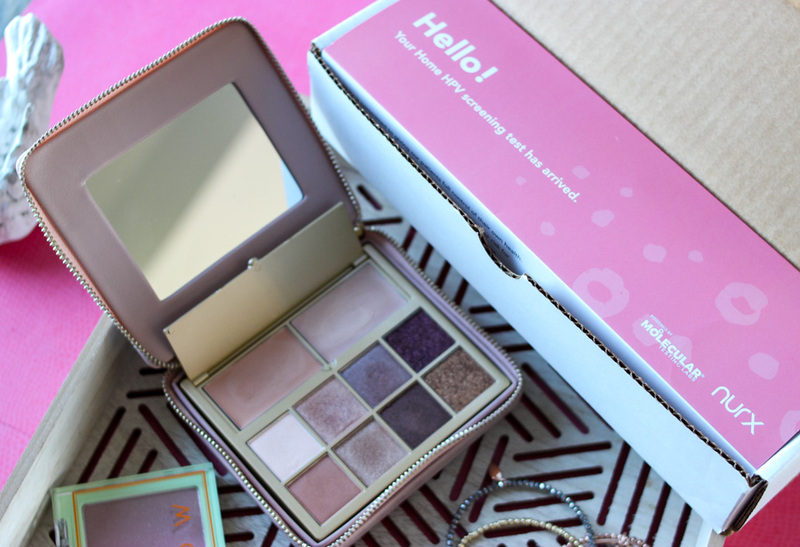 This new testing kit is perfect to allow women over the age of 30+ to easily check their risk for cervical cancer with an HPV kit every 5 years. Once you receive your kit and have retrieved your sample, you simply place the swab in the specimen tube and specimen bag and place it in the prepaid mailing envelope. The sample is then analyzed by a medical team and your results are sent to you. If your results are negative, this means your risk for cervical cancer is very low and do not need additional testing for another three years. If your results are positive, Nurx medical team will work closely with you to help figure out next steps (this does not mean you have cervical cancer!). Simple and quick! If you’re unsure if you’ve had a HPV test done recently, I urge you to be tested. Testing for HPV is one of the most important things that you can do to reduce your risk of cervical cancer. To learn more about Nurx or order a kit, you can read more HERE. I am so loving this blog! Prevention is better than cure, our doctors always say. I agree that everyone should do the HPV Test to make sure. I’ve never heard of Nurx before but this sounds like a great resource for women to stay on top of their health. These home testing kits offer the convenience factor which people seem to love. Thanks for the info! Women’s wellness is important and I am happy to know there are these tests out there for all women. I became a hystersister at the age of 38 due to an aggressive pre-cancer, but thankful they caught it in time. Thanks for sharing this information! This sounds like such a great innovation! I love how easy it’s becoming for a woman to take control of her own health. It’s so important! Great information enjoyed reading so important.